After a decades-long career combating wildfires, Elizabeth has traded in her former life for a quieter one with her husband. 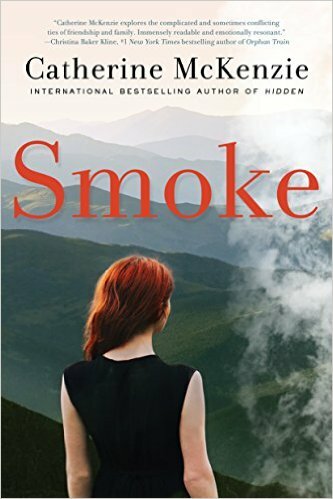 Now she works as the local arson investigator in a beautiful, quaint town in the Rockies. But that tranquil life vanishes when she and her husband agree to divorce and a fire in nearby Cooper Basin begins to spread rapidly. For Elizabeth, containing a raging wildfire is easier than accepting that her marriage has failed. Smoke starts off somewhat slow. The author spent the first third or so of the book developing the characters and setting the stage for the investigation into the origins of the fire threatening the town of Nelson. It took a while to get into the story, but once it picked up it was hard to put down. What will keep you engaged is the relationship between Elizabeth and Ben as they deal with the not-yet-accepted failure of their marriage – still in love, but riding that fine edge between loving someone and giving up. While the characters were well developed, I felt as if there was something lacking in Elizabeth – an element of strength I kept expecting that never appeared. In one scene, her husband accuses her of something terrible. I expected Elizabeth to be angry, outraged, or defensive; something other than apologetic. This may have been by the author’s design and, if so, well done. Additionally, the small town sheriff and District Attorney were just a little too cliche for me to really see them as more than caricatures. The fire though…the fire came to life in this book like it was a character in and of itself. It breathed and fed and destroyed; not just the forest around the town, but the lives of those closely tied to its origins. It was a physical manifestation of the turmoil devastating Elizabeth and Mindy’s lives. In the same way fire can bring new life by burning through brush and deadfall, this fire burns through the lies and mistakes Elizabeth, Ben, Mindy, and Mindy’s son have buried and acts as a catalyst for renewal within their own lives. Ultimately, Smoke will pull you in and keep you guessing until the final reveal.